Should Christians celebrate holidays like Halloween? What about Christmas and Easter? Are these really Christian holidays? 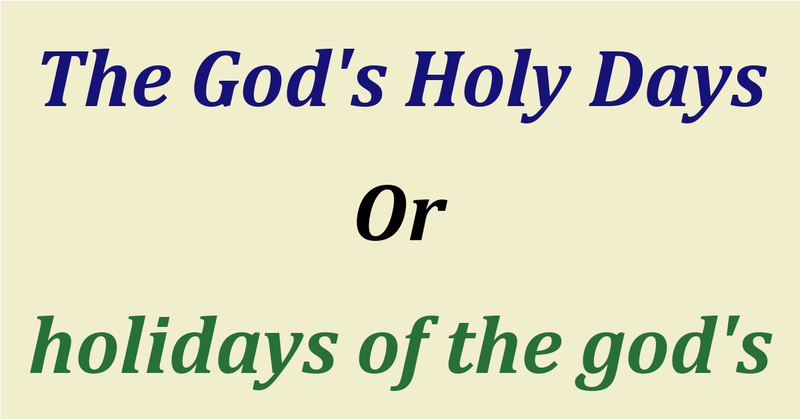 Each article takes an in-depth look at one of these holidays from a Biblical perspective. Introduction to Christmas - This page takes a brief look at Christmas. Christmas - The online book Christmas. How Christian is Christmas? Halloween - This page examines the celebration of Halloween. St. Patrick's Day - This page examines the origins of St Patrick's Day. Valentine's Day - This page examines the origins of Valentine's Day. Easter - This page examines the origins of Easter. That's not what it means to me! - This page examines the commonly heard excuse "That's not what it means to me!"